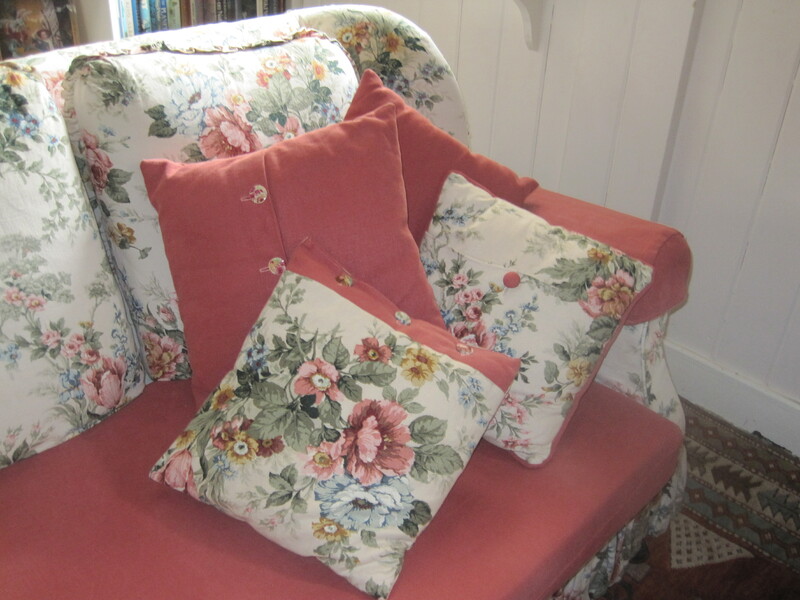 I am sometimes able to make up cushions from fabric left over from clients curtains. 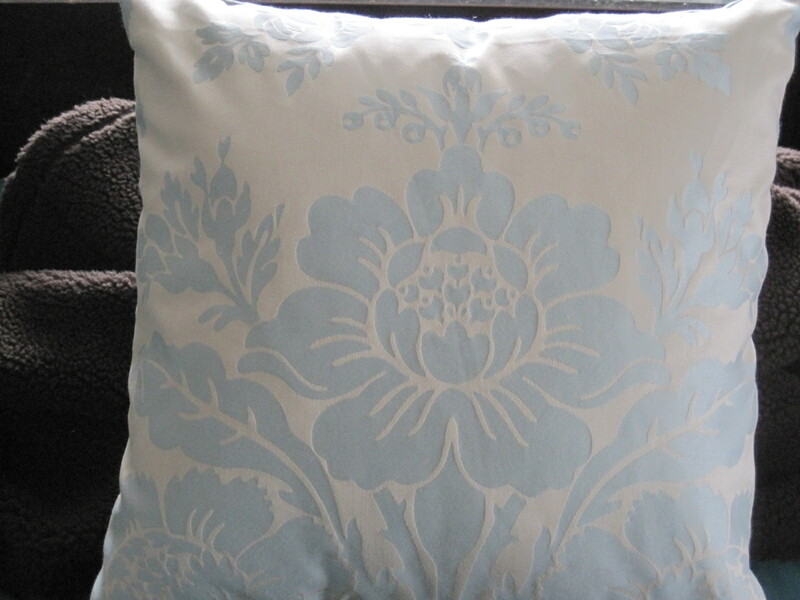 On this cushion for a teen girls bedroom I was able to centre the design motif. 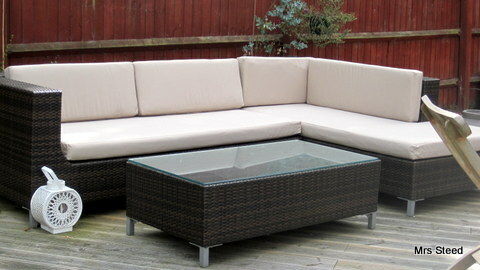 Soft mineral strip linen cushions to complement the bi-fold door curtains. 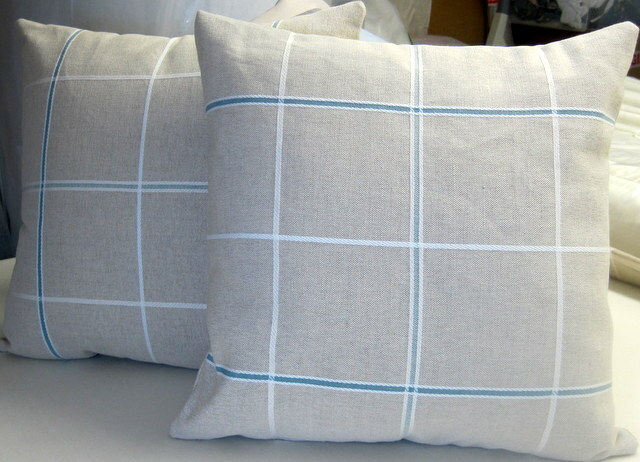 Linen cushions in duck egg / natural check. Made for my bi-fold door client. Appliquéd butterfly on a cushion for a younger girls room. 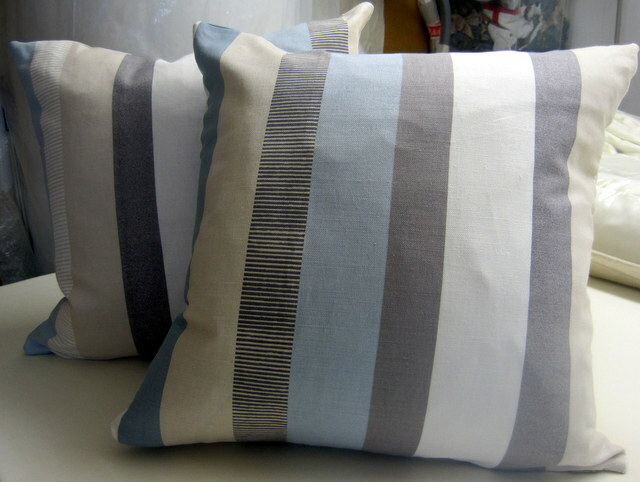 Sometimes I am able to make up cushions from clients remnants to complement their curtains. Its not always possible but here I was able to centre the design motif.